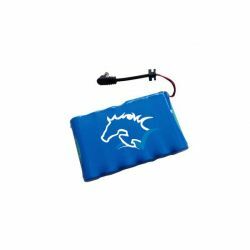 An innovative and unique solution for the warm-up, recovery and relaxation of your horse. By buying this product you can collect up to 54 loyalty points. Your cart will total 54 loyalty points that can be converted into a voucher of 16,20 €. 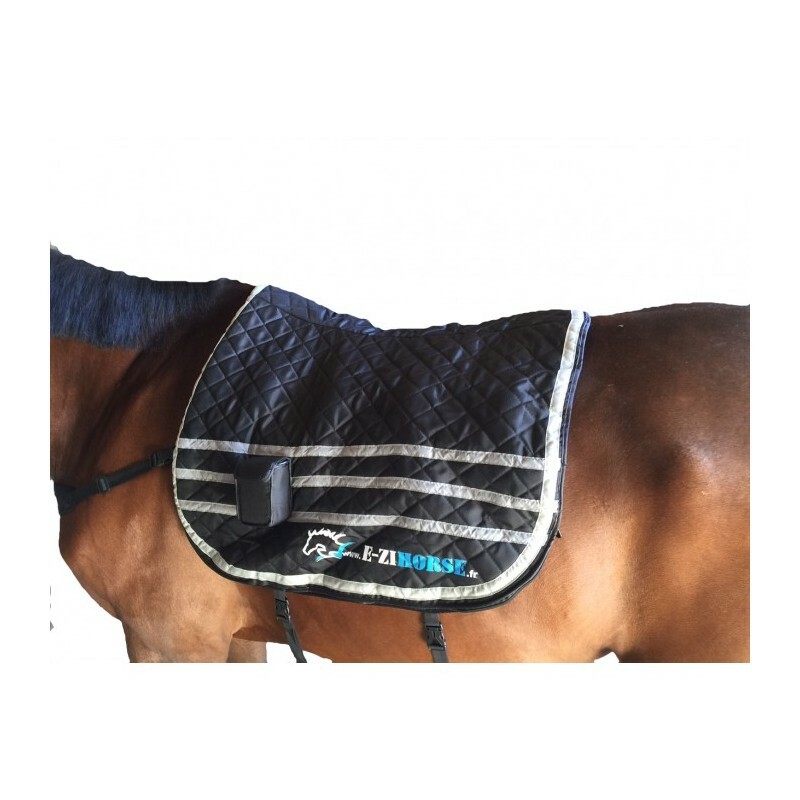 Designed in France by the E. ZIHORSE ® team, in collaboration with professional riders and veterinarians, E. ZIBACK ® is the first horse massage solution to offer a combination of vibrating motors and heated pads. From the withers to the horse's rump, E. ZIBACK provides a complete and deep massage. The 8 vibrating motors positioned on each side of the horse's back (along the dorsal muscle), have a stimulating role. They will gradually, and depending on the selected mode, wake up, stimulate, release the muscle fiber. Vibration also has the particularity of stimulating blood circulation, increasing muscle temperature, and/or eliminating toxins and lactic acid, thus avoiding cramps and contractures. Equipped with 8 heating pads, ranging from 15°C to 50°C, E. ZIBACK ® provides a fast and efficient heating allowing a significant time saving. 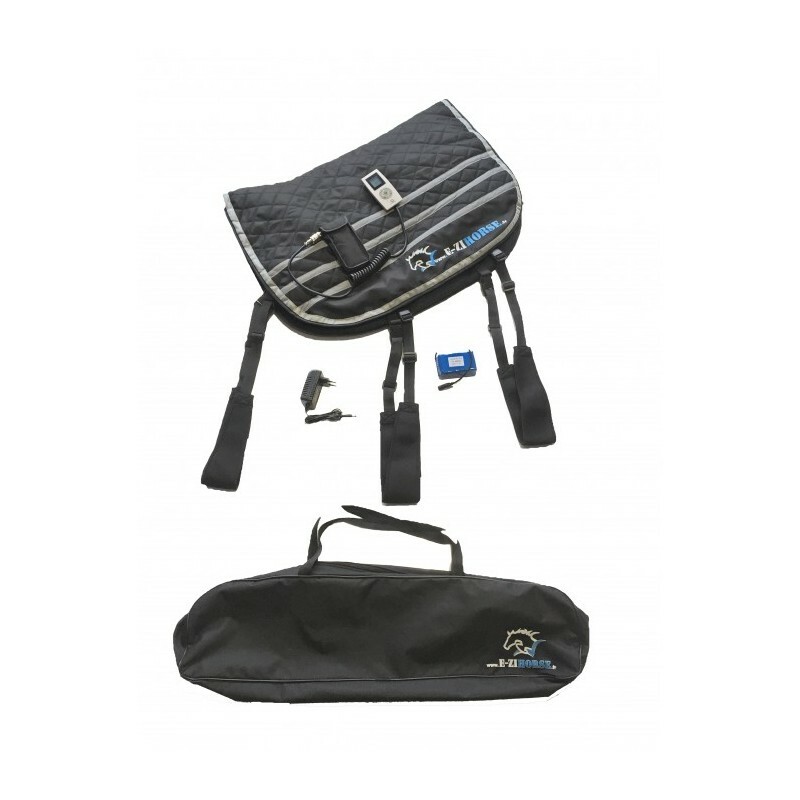 This technology allows you to start work faster, reducing the risk of injury or contracture to your horses. The warming of the back muscles also provides a feeling of well-being and comfort, thus relieving muscle tension and significantly improving the horse's behaviour at work (more relaxed, more zen, more attentive...). 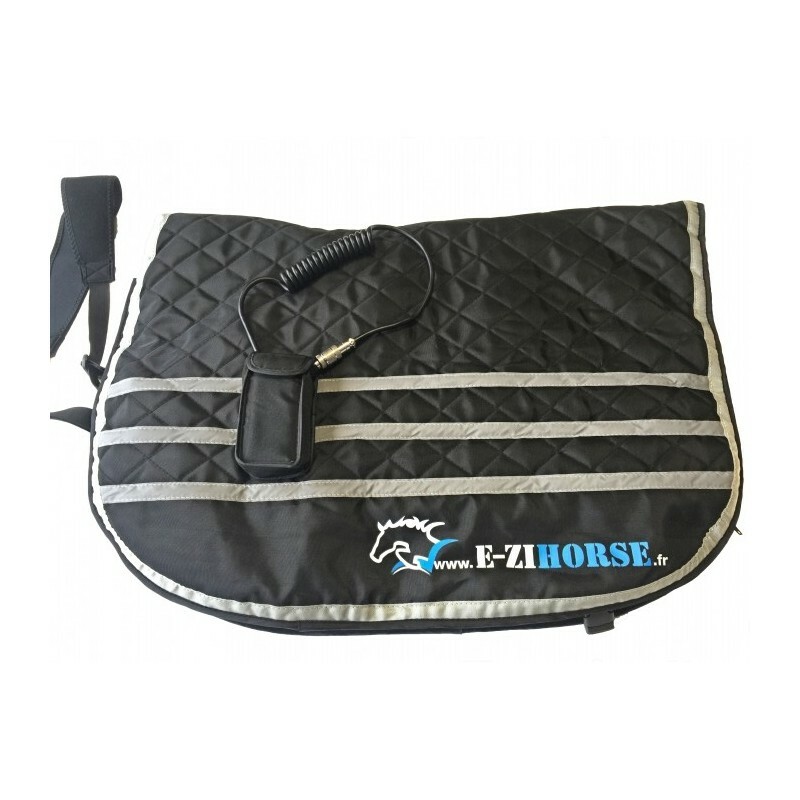 More than an essential daily work tool to warm up your horse, E. ZIBACK is also an ideal tool for recovery after work or simply for relaxing anxious and stressed horses. "TRAINING 1" is a gentle warm-up ideally designed for riders working on the flat and who have planned a short average effort (30 to 45 minutes). This program gently stimulates the muscle and gradually warms it up for 20 minutes. "TRAINING 2" is a more powerful warm-up that will very quickly increase blood circulation in the muscle fibre of the horse's back. With a rapid increase in temperature, the back muscle will be able, after 25 minutes of warm-up, to support an intense and long exercise. This warm-up program is particularly suitable for riders who have planned a show jumping session or a long and intense workout. E. ZIHORSE also recommends the use of this warm-up mode in cold weather, regardless of the effort expected during the session. "RECOVERY" is our recovery program. The vibration sequences in this mode cause an increase in blood flow, which then eliminates toxins and lactic acid present in the blood after intense effort. This elimination guarantees an absolute relaxation of the muscle and a rapid re-oxygenation of the blood. This program is an essential tool for recovery phases and effectively removes aches, pains, contractures and small pains related to stress. It is also the guarantee of being able to leave for a next work session serenely, without pain or discomfort. Recovery must absolutely be an integral part of the work sessions to ensure optimal physical and mental condition of the horse, necessary for the development of good musculature. "RELAXING" is a program developed to relax, relax, and relieve pressure. 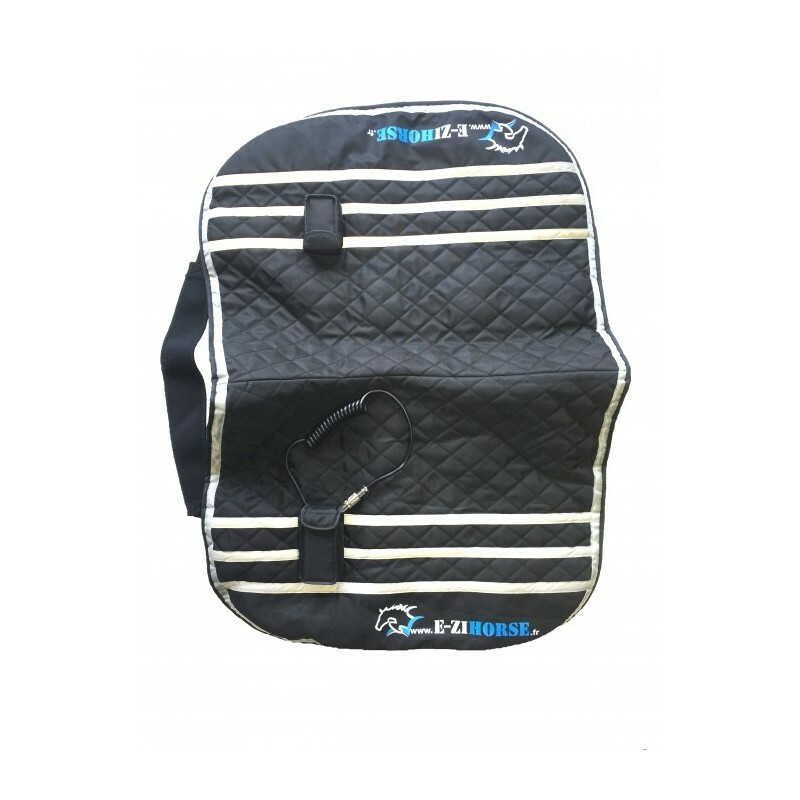 We recommend it for horses with a lot of blood, stressed, anxious, or in conflict with the hand. This mode is also very effective for stopped horses that spend their day in the box, and then become prone to colic. The micro-vibrations of this mode propoage themselves in the horse's body and reactivate the intestinal system. Charge quickly... and use for a long time! E.ZIBACK ® innovates by equipping itself with a Lithium-Ion battery with optimal performance and longevity. In less than an hour, you will regain maximum power and 2 hours of autonomy. Unlike standard batteries on the market, which offer 300 cycles before losing in autonomy, the lithium-ion battery of the E.ZIBACK ® offers a lifetime of more than 1000 cycles. By using your E. ZIBACK ® massage mat at full power and at a rate of 2 hours per day, we guarantee a battery life of more than 3 years. Easy... like an E. ZIBACK! 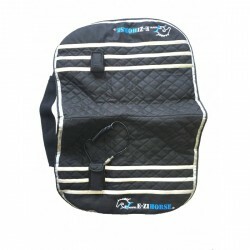 Easy to use... E.ZIBACK ® adapts to all horses thanks to its adjustable straps. Thanks to its intuitive remote control, the massage can be set, started and stopped without difficulty. In a few clicks, set the massage time, the desired temperature or the vibration intensity. In addition, the small LCD screen allows you to know the charging status of your battery. Easy to clean... E.ZIBACK ® can be removed completely and can be machine washed at 30°C for a complete wash and regular maintenance. E.ZIBACK ® is equipped with an inner honeycomb fabric allowing air circulation, and guaranteeing an antiperspirant function. Easy to transport... 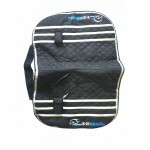 Thanks to its small size and its carrying case, take it everywhere with you. In competitions, on holidays, hiking, etc... E.ZIBACK ® accompanies you in the important moments of your passion for the greatest pleasure and comfort of your horse.